Why Infinit-I Workforce Solutions transportation LMS? Infinit-I Workforce Solutions is the ultimate training, communication, and record keeping tool for transportation-based companies. We provide trucking and transportation executives with a Learning Management System that is built for a workforce on the move, increasing driver comprehension, cutting the cost of training by an average of 50 – 70% or more. A transportation learning management system is a software application for the administration, documentation, tracking, reporting, and delivery of company driver & employee related training & communication. 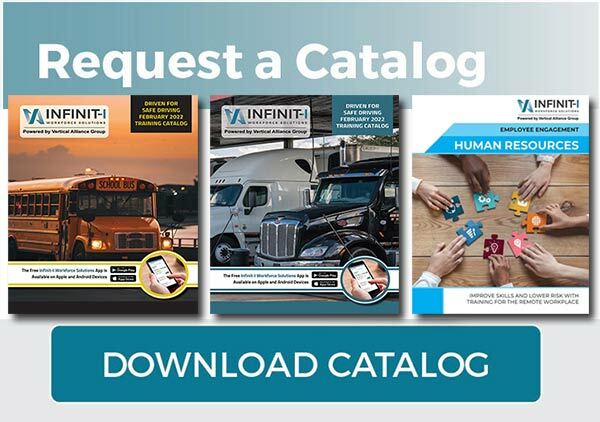 Infinit-I Workforce Solutions is designed to inspire and create behavioral changes in your truck drivers and other employees responsible for the day-to-day operation of your trucking company. With automatic tracking and recording, Infinit-I Workforce Solutions creates a paperless, ironclad defense against the risk of litigation and audits. 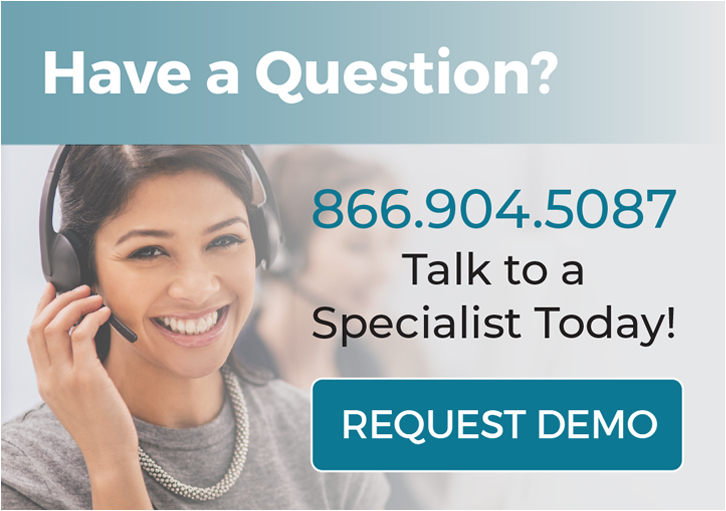 How is Infinit-I transportation LMS better than in-person training? With dozens of trucks parked during meetings, in-person transportation training programs are highly expensive, difficult to coordinate, and impossible to accurately track. Not only that, but by the time that your drivers walk out of an in-person meeting and get back on the road they will have forgotten nearly 90% of what was said. Add the stress of potential liability and punitive damages for drivers that didn’t attend the meeting and you have a recipe for disaster. If your drivers are in an accident, what will hold up better in court for your company: a paper sign-in sheet that only verifies their attendance or a digital record of the comprehension and acknowledgement of the exact training and safety courses a driver has completed? Train your drivers with the world’s best content from anywhere, at any time. Track your drivers’ training results with our transportation LMS. Access your records at a moment’s notice. In an on-demand, mobile-friendly world, your employees will love our short, yet comprehensive, training videos delivered directly to their mobile devices. Brand and white label your Infinit-I platform with your company logo. Only your company logo appears on your Infinit-I website, not ours. 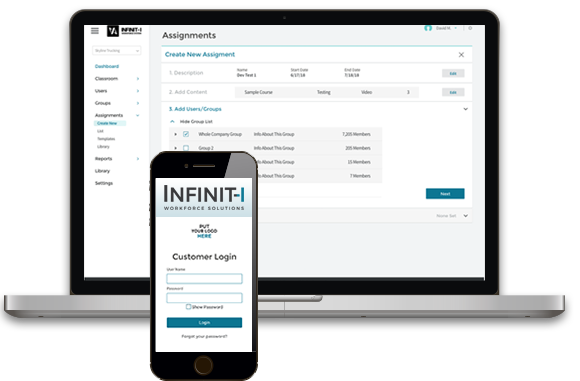 Required safety training is automatically tracked, recorded and archived in real-time with Infinit-I Workforce Solutions. Personalize your company’s communication through Infinit-I with custom content. Our team is available to assist with every aspect of content creation (including writing, video production, and media creation) allowing you to be as creative as you want with your personalized safety and driver communication. Drivers can review and digitally sign company documentation from anywhere, speeding up your pre-orientation and onboarding process.